The failed negotiations and mishandlings on the part of the Greek government in the first six months of 2015 cost the economy 100 billion euros, European Stability Mechanism Klaus Regling said. In an interview with Skai television on Thursday, the ESM head said: “I know that the Greek Central Bank has published this figure as being 83 billion or more. I know that some consider that the cost is even higher when they count lost revenues from growth prospects. It may be a little less, it may be a bit more. I think 100 billion is a round figure that is probably correct,” he noted. 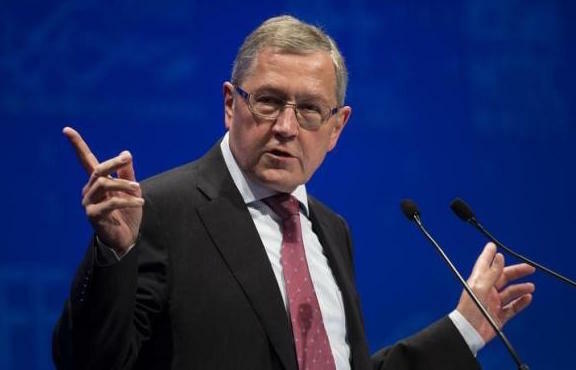 Regarding the Greek government’s expressed intent to try to borrow from the markets before the end of the year, Regling suggested caution: “I believe that after so many years of absence from the markets it is right to go back in slow steps. The debt management agency that is responsible to monitor Greece will analyze carefully and very professionally when it will be the right time to go to the markets. It depends on the state of the Greek economy, the reforms and the state of the markets,” Regling said.